Thanks to those that came down to the club on Saturday to support the first team. It was a terrific game and Wimbledon came out on top 21-19. Next home game is Sunday 16th February against Gulidford. 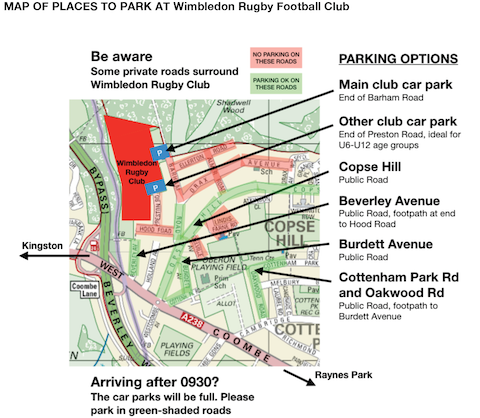 As for this Sunday, please park with consideration for our neighbours and respect for our volunteering parents. If you are arriving after 9.30am please do not attempt to enter Barham Road and instead park in one of the approved off-site locations. 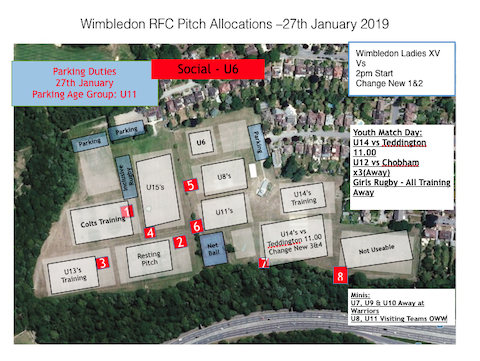 U6s on cake sales, U11s on parking. Link to our full parking policy.